Our structures provide you with successful crops. unmatched strength. peace of mind. GGS is a world-class designer, manufacturer, and installer of commercial greenhouse structures since 1979 and our greenhouses are built to last. Here are the ways GGS can design, manufacture, and install the right commercial greenhouse for you. 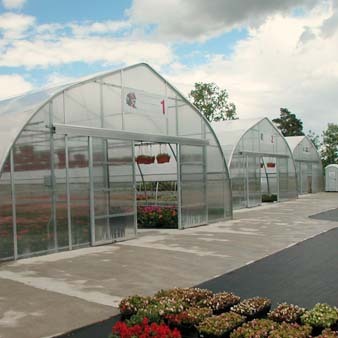 Whether you select one of our standard commercial greenhouse structures, or require a customized greenhouse design, the GGS greenhouse design team provides a full set of greenhouse construction blueprints. 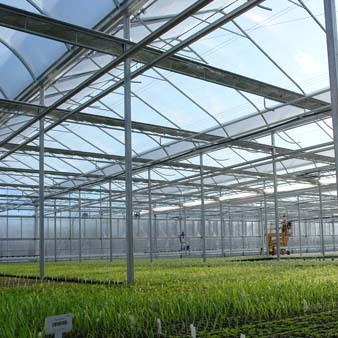 To provide the best performance, we focus on manufacturing greenhouses that are strong and that will hold up over time and against the abuse of elements such as rain, snow and wind. In addition to using only the highest quality building materials that are available to us, we also make use of the most state-of-the-art manufacturing equipment. Our greenhouse manufacturing team is focused on quality and efficiency to build greenhouse structures, benches, carts and other greenhouse equipment for commercial growers around the world. Our stellar reputation, which we have earned due to the consistent quality of our commercial greenhouse structures, has made us the first choice for garden centers and greenhouse growers all over the world. 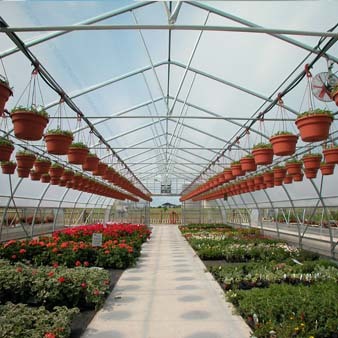 We provide a complete set of construction blueprints for all of our greenhouse structures. This helps to ensure that the greenhouse construction goes as smoothly as possible. We also provide our clients with the option to hire one of our GGS supervisors in order to lead their installation - or we can even provide an entire greenhouse construction crew as part of a design / build service in which we will oversee every part of the greenhouse building process, from the design the greenhouse all the way through construction. The GGS greenhouse construction crews are experienced greenhouse builders who work closely with growers to ensure every greenhouse project is completed to your satisfaction. 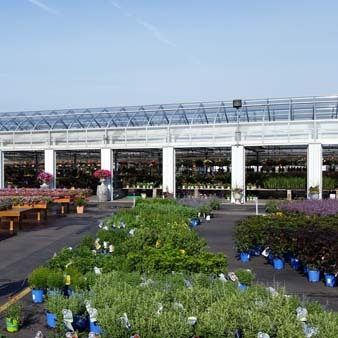 Our team of dedicated greenhouse professionals will help you choose the best structure to fit your needs, whether you’re a floriculture grower, vegetable grower, university researcher, or operating a retail garden center. At GGS we understand that each customer and situation is unique, and we will be there every step of the way to ensure you maximize the value for your crops. Come join our team, we will work hard for you to cultivate a quality partnership. "Ever since we've been building new, it's been nothing but GGS, that's all we put up. If you look over to this area over here that's our retail model. 90 thousand square feet of indoor shopping. The first bay is a glass house, again, all GGS. It's a beautiful 36 foot wide-span house. We love 'em"
"One really important feature that I really like about the GGS structure is the ease of installation. You know, the way things fit together and the way one piece works with another piece...and the strength of the structure is designed for our climate"